Storytelling + Research = LoiS: Annual Foolishness? / Aye Do! 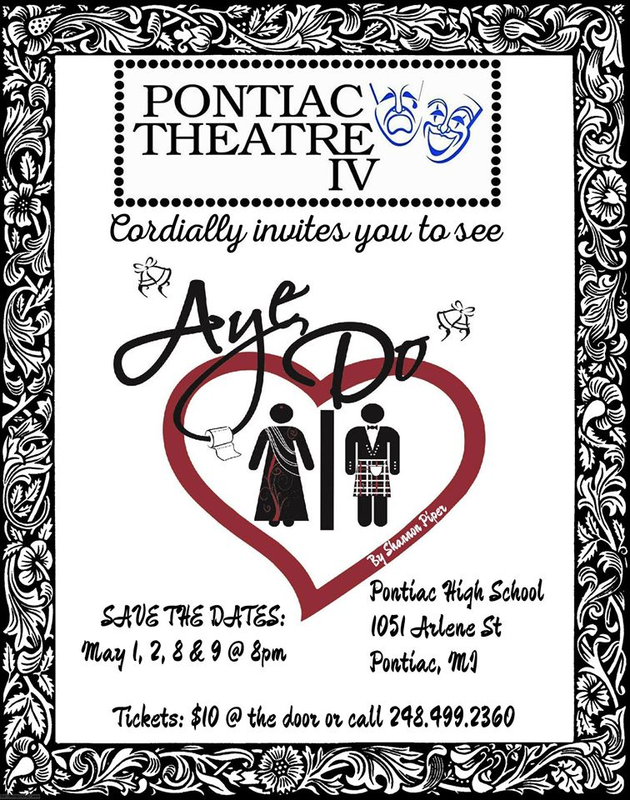 My current "Annual Foolishness" is the entertaining production with Pontiac Theatre IV of "Aye Do!" (I love that I even open the show with a bit of storytelling from India and dance. This is before the actual play opens.) Within the show I become a Scottish lassie feuding with her husband as one of many couples at the wedding reception for an Indian bride and Scottish groom. The show also ends with a bit of Bollywood style dance, all of which drew me to this very new and funny play that has only been performed once before in the playwright's hometown of Three Rivers, Michigan. Now what about that question of "Annual Foolishness"? It originated with my storytelling friend in the Canadian Maritimes, Elinor Benjamin, who calls her annual message sent over the Christmas and New Year holidays her Annual Foolishness. I've adopted (and adapted) it to describe my occasional returns to theatre, but am wondering if it might need changing to Semi-Annual Foolishness, since there's always the possibility of a fall show, or what if I have a way to slip in a bit more? Would it become Now and Again Foolishness? My background definitely includes theatre, although it had to be skipped while working a librarian's schedule. Returning to theatre proves it's an addiction never cured. Theatre skills also sharpen storytelling abilities skipped at the storyteller's peril. No, storytelling is NOT memorization although the ability to memorize keeps your mind sharper and can be useful keeping track of a story's elements, including possible chants and names. A perfect example can be found in the various jump rope rhymes in the lovely story, "Elsie Piddock Skips in Her Sleep", by Eleanor Farjeon. It's not a story I ever expect to tell for that very reason as precise memorization is critical to the story. My appreciation for and training in improvisational theatre, plus a memory exercised mightily by learning lines in a play, makes me love the way storytelling is like a snowflake with each telling being a bit different. Elsie can go to those showing off their memory. I've seen too many examples, whether telling in poetry or otherwise, where storytellers who only memorize and are not up to extemporizing are caught unaware when their memories hit a speed bump in the telling. Such theatre Foolishness, while useful to practicing storytellers, must be carefully scheduled to avoid storytelling schedule conflicts. This is where the question of Annual, Semi, or Now and Again must be answered. While I managed to meet last week's storytelling obligations, all my focus this week before the show opens has been on the show. In theatre the week of a show's opening is known as "Hell Week" and while this show has gone wonderfully well, there have been final touches needing attention. Even before this, I've seen where my focus has been on the show or split to the point of missing other things. I thrive on variety and multitasking, but know storytelling remains where my focus belongs. Rest assured it will return after this brief interruption. Here's an interview I did earlier about the show on Facebook. Oakland Press ran this article about the show. (If you wonder where I am in this rehearsal photo, I'm the turquoise arm raised on the left -- love it!) There's even a Facebook video of that rehearsal scene. If you're in the southeastern Michigan area, I hope you come see the show. I know you'll enjoy it. P.S. By the second to the last paragraph I see Blogger finally accepts my spelling of "theatre", although I've worked in a place that didn't. My undergraduate degree is in Theatre Arts and definitely is part of me and my work.